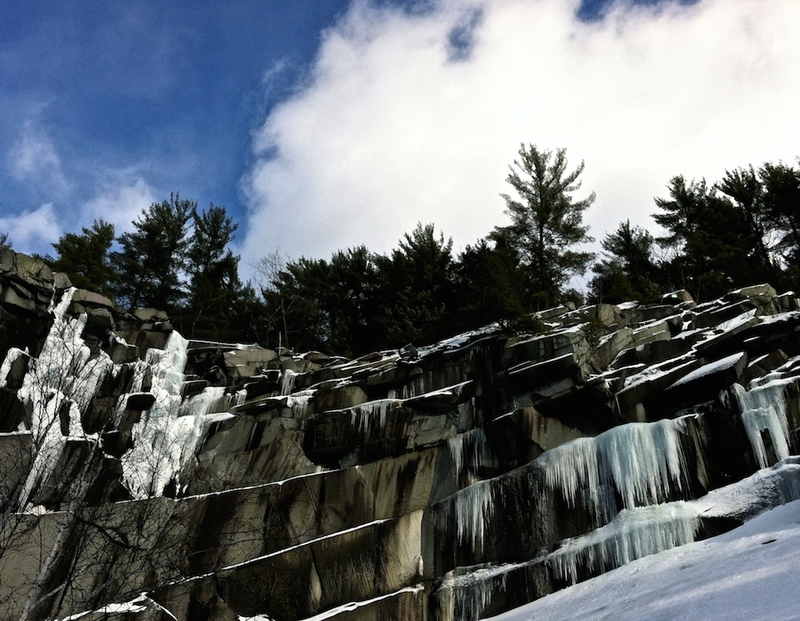 The stepped granite of Black Mountain lifts into the January sky. 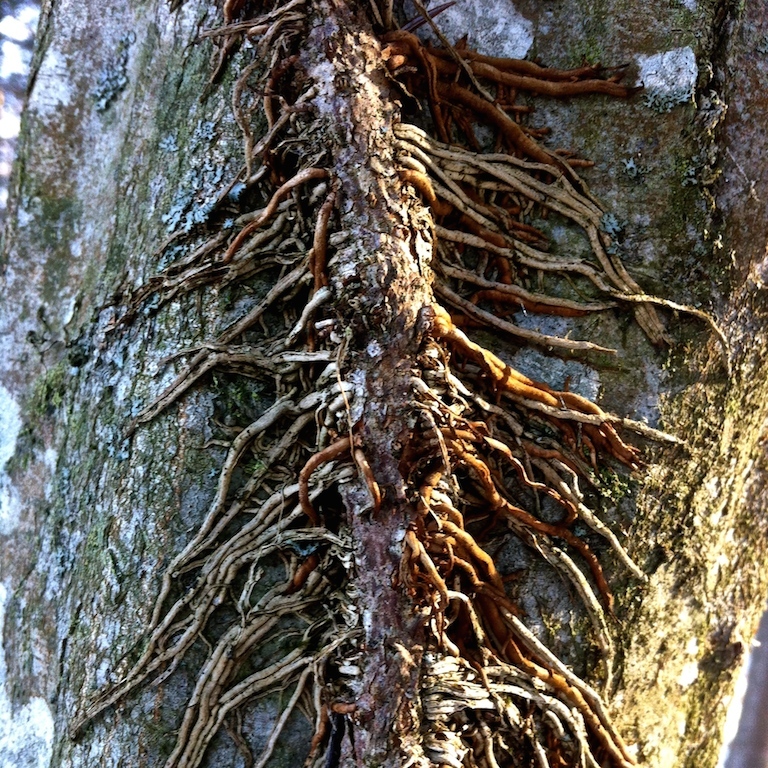 A thriving poison ivy vine tenaciously clutches the fluted trunk of an ironwood tree. 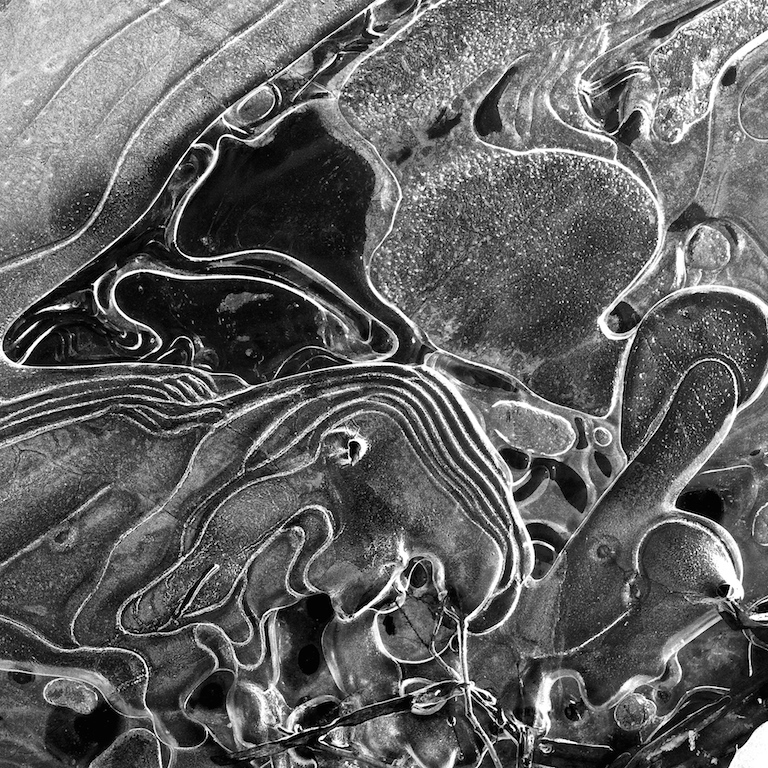 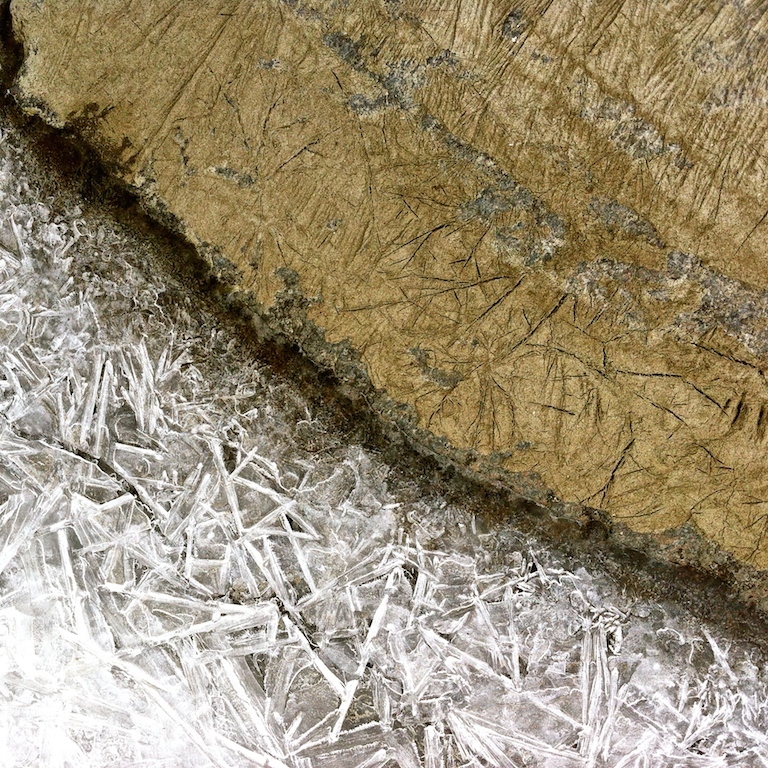 Layers of light and time glaze a tiny stream in Vernon, Vermont. 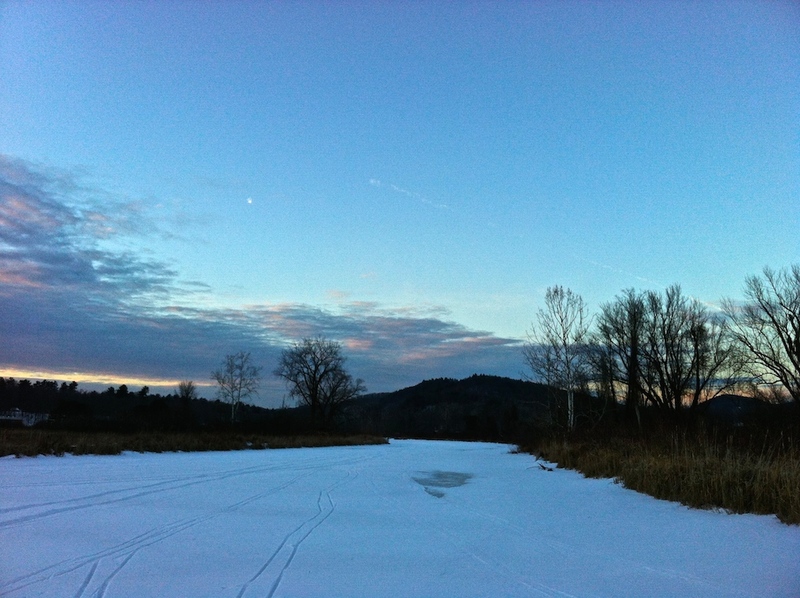 On the west channel of the Retreat Meadows, the northern sky catches the last glow of a January sun. 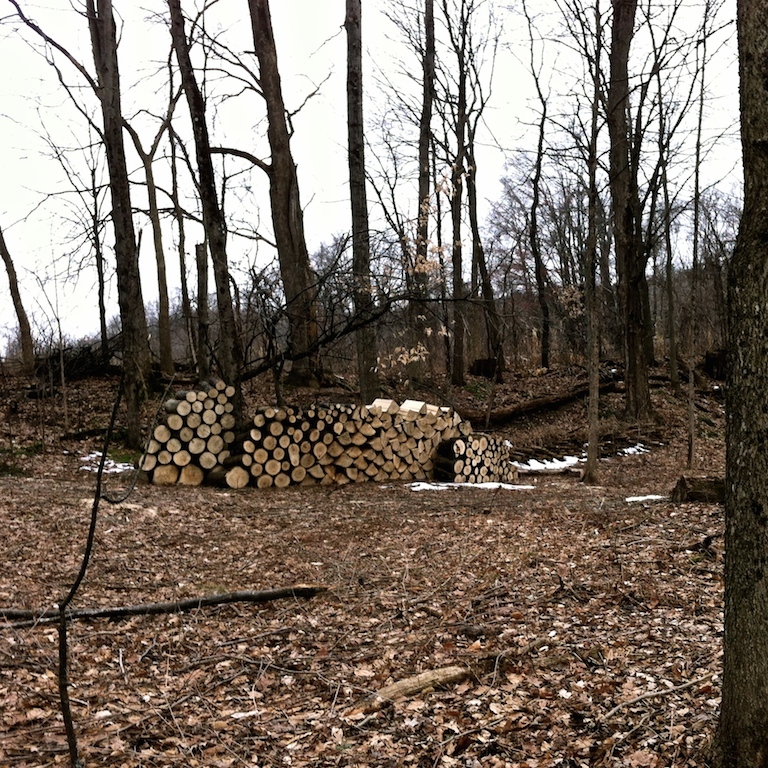 Cordwood from storm-toppled timber… a beaver with a chainsaw. 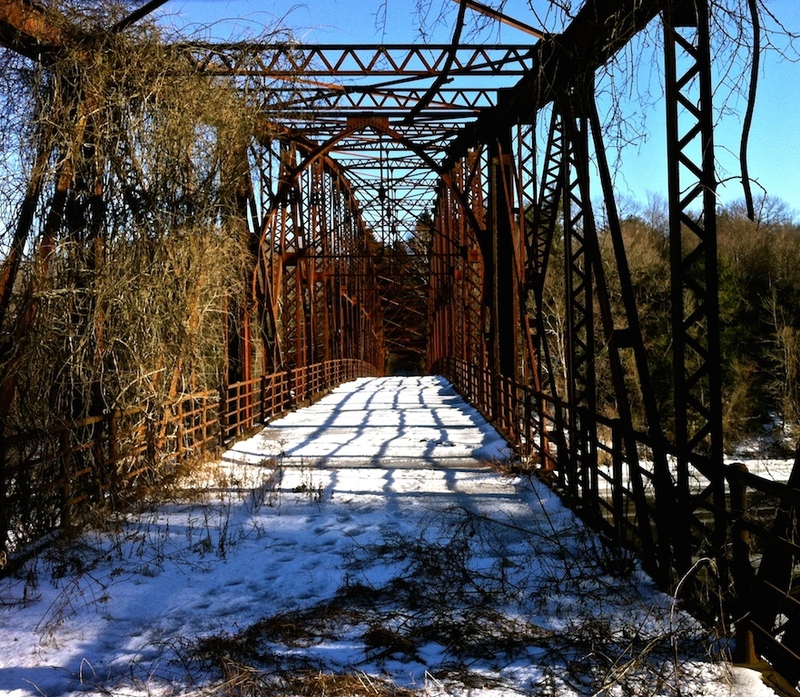 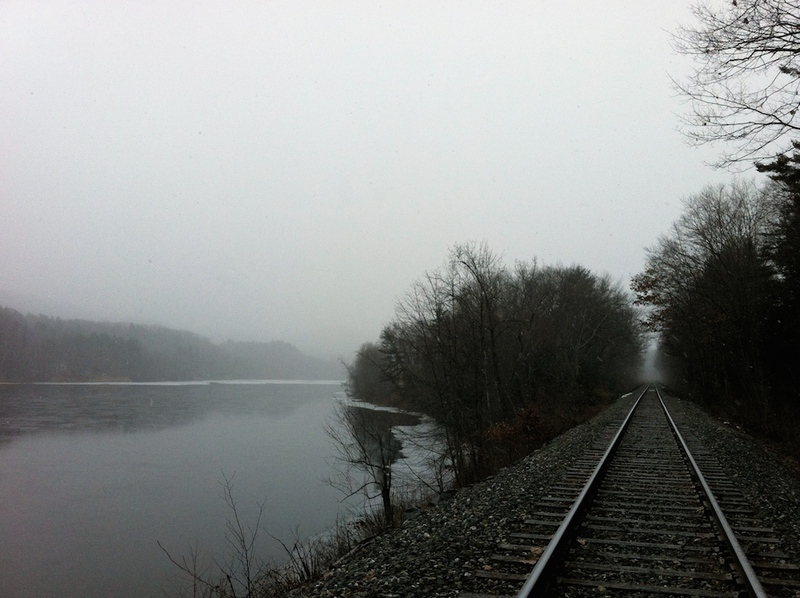 Snow begins to blur the Connecticut in Dummerston, VT, in its slow drift southward toward the Atlantic. 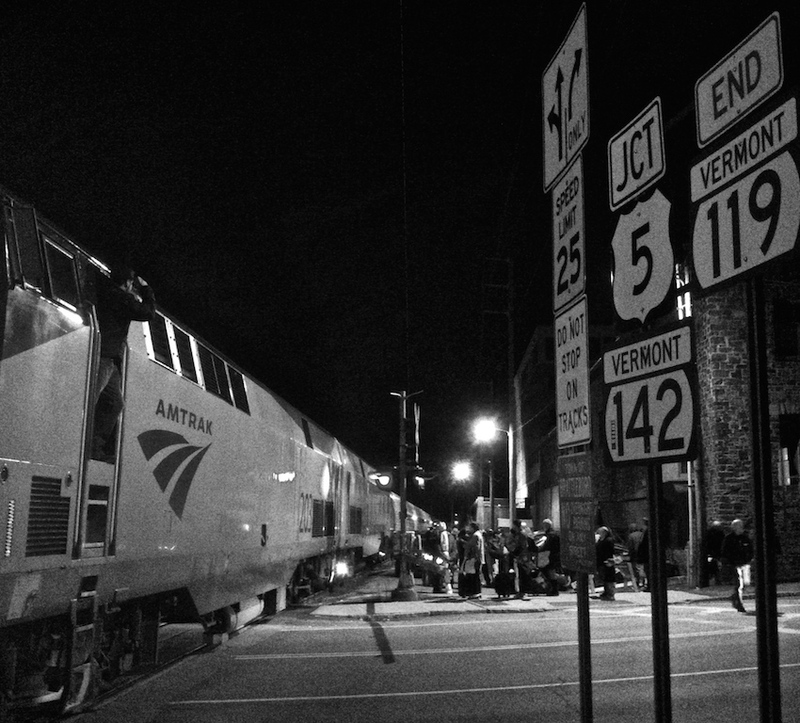 Amtrak No.56 pulls into Brattleboro, Vermont in late December, 2014.